Ideal for charging on the go! 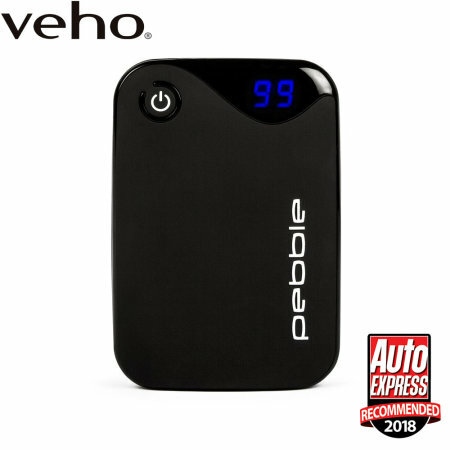 The Veho Pebble P1 Portable Charger is one of the longest lasting external batteries available today thanks to its impressive 10,400mAh capacity. Better yet, it's fully capable of charging two devices at once! Top product and really fast charging as well. Looks the biz as well. That it was everything I thought it was. Over the moon with the product. Couldn't b happier. I would highly recommend this item. Great piece of kit. Really handy when mains ain’t available. Recharged my iPhone XS max twice and still had more to give. Takes a while to fully charge up but not surprising as it is a good size battery. Power Bank once charged will recharge mobile 5 time before needing recharge. Digital monitor great for knowing how much you have left and when to charge. I would fully recommend especially when on your travels.